This step needs to be performed only the first time. 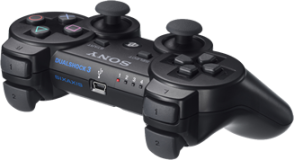 An USB cable is need to pair your Dualshock 3 with Titan One device. Your Dualshock 3 controller is connected when the display shows 0 with no dot at the bottom. To speed up the Dualshock 3 syncing uncheck the option "Enable Dualshock4/Wiimote Bluetooth searching" in Device Options.